Welcome to Grand Rounds! Want to get the most out of our SNMA experience? Well, we will tell you how! The Student National Medical Association (SNMA) is hosting its 2019 Annual Medical Education Conference (AMEC), “The Call for Excellence: Improving the Future of Medicine through Leadership, Service, and Activism” on April 18-21 in Philadelphia, PA. SNMA will be celebrating its 55th anniversary and the program will address topics on leadership in healthcare, health policy, health disparities, and activism in underserved communities. Additionally, students will be provided with a multitude of multidisciplinary opportunities that include the incorporation of technology into medicine, hands-on clinical skills workshops, professional development sessions, and other tools that will allow them to excel as future physicians. Unique in its focus, AMEC is the culmination of SNMA’s extensive work for the year and stands as a benchmark for its achievements in the areas of medical education and community service. The meeting is both well-attended and well-regarded by students, educators, bench scientists, and medical practitioners across the nation. During the conference there will be several community service/outreach initiatives occurring that conference attendees will participate in. SNMA will be collaborating with both national and local organizations to reach out to youth in the Philadelphia area to promote healthy attitudes regarding various health topics and increase interest in medicine. SNMA is encouraging conference attendees to bring at least one package of feminine hygiene products with them to AMEC. SNMA will then have volunteers help repackage the items into hygiene kits to be donated to a local women's shelter. There will also be an opportunity on-site to register for a blood and bone drive. Drs. Joseph W. Semien, Jr., Pierre Johnson and Maxim Madhere - Authors of "Pulse of Perseverance"
Eugene Harris, III - Medical Director, Southern Regional Medical Center, Emergency Department and star on "Married to Medicine"
Research Poster Forum for pre-medical and medical students across the country to showcase research they've conducted! Hands on workshops - clinical simulations workshops and orthopedic procedures among others! Professional and Leadership development workshops - sessions on leadership in medicine, navigating medical school and beyond! Exhibit hall - featuring over 150+ professional and academic institutions from across the country! Tours of surrounding Philadelphia medical schools for interested premedical students! Networking with premedical, medical students, and physicians from across the country to build life-long relationships! We are looking forward to seeing you at AMEC in Philly!! Welcome back to our #SNMAExcellence Series! 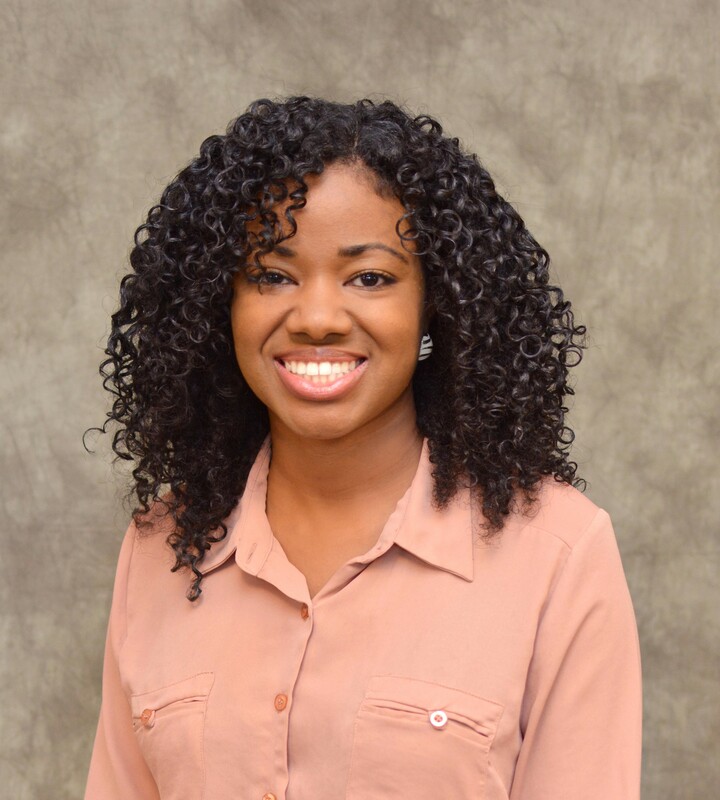 Our ninth feature in the #SNMAExcellence series is Onome Oboh, a second-year medical student at the Michigan State University College of Medicine! Throughout her time as a student-leader in medical school, she has served her community in various ways by not only actively participating in programs such as the Reach Out to Youth pipeline program, but also creating sustainable programs like Med School 101! In addition, she served as the Co-President of her school’s SNMA chapter, as a student ambassador for her school, and is involved in a number of other things that you can read more about in her feature! You’ll definitely want to read all about the incredible life experiences that this future physician had before getting into medical school, as well as the amazing advice that she would impart to her younger self if she could! Link to her feature on our Grand Rounds blog is in our bio! I am currently an M2 and approaching my first round of boards (STEP 1). I honestly don’t think I had any other choice as far was what I wanted to do with my life...I believe in God, and I truly believe it was my calling to go into the medical field at the forefront of patient care. How is your chapter exhibiting #SNMAExcellence? This past year, as Co-President of a growing SNMA chapter at Michigan State University College of Human Medicine, I have seen our membership increase. Our not only large, but diverse general body is present and active at every general body meeting and community service and pipeline event we have held. This year, I challenged myself to create a sustainable event, and through the support and efforts of my e-board, in Grand Rapids and East Lansing, our Office of Student Affairs, and Office of Admissions, Med School 101 was born. This three-part pipeline program provided an in-depth understanding of the primary medical school application, personal statement writing advisement, advice on finding a principal investigator for research experience, MMI practice, traditional interview practice, and real AMCAS applications from current medical students at CHM to analyze for underserved, under-represented premedical students. This program ended with our annual Cultural banquet on February 2nd, 2019. What are your biggest accomplishments in medical school to date? Creating Med School 101 was a passion project, but I am also involved in Reach Out to Youth, a pipeline program for students ages 6-11. ROTY is an annual event, in conjunction with our counterparts at Wayne State SOM. It provides a “mini-med school” experience for these minority children and their parents/guardians. Outside of pipeline events, I am also involved in surgical oncology research, I am a MSU CHM Student Ambassador, I was a part of a medical student-run research project in Ecuador, and I presented some of our findings at the RMEC for Region V in Cincinnati, Ohio. I am also a past CHM Student Council Member and a previous member of the Council on Diverse Education here at MSU CHM. How has the SNMA impacted your medical school experience? The SNMA, more than anything else, has given me a community of support and an outlet for my passion for mentorship. The bright minds of this organization are awe-inspiring, and the people I have met through the SNMA have galvanized me and reminded me that I can make a difference in the lives of the populations I hope to serve as a medical doctor, long before I walk across the graduation stage. Did you take some time off before medical school? If so, what did you do during that time? I was a SUPER non-traditional student. I took 5 whole years to get into medical school (most of the story is somewhere on my insta feed). In that time, I completed a post-baccalaureate program at UCLA, acted and sang in a broadway-style play at my church, got my Master of Science in Global Medicine at the University of Southern California, went to Brazil to work in a hospital assessing process flows and did a PowerPoint presentation on the US healthcare system to a medical school class there, did clinical hypertension research in black barbershops in Los Angeles, worked as a writer’s assistant to THE Bentley Kyle Evans, and became an aspiring writer. If you could go back and have a chat with your college freshman self, what would you tell her? 1. It’s ok to be afraid, and it’s ok if other people doubt your abilities. Take the leap and chase your dreams anyway because God has never let you down, even when it looked to you like He did. 2. It’s ok if you are seen as intimidating, it adds more value to the people who see you as strong and VALUE that in you. 3. Learn how to check your peace while chasing your passions. Not every path is meant to be followed. Check your peace before you proceed. 4. You are dynamic, you don’t have to prove that to anyone, not even yourself. Let the Holy Spirit and the gifts God gave you make space for you. 5. Be Humble. If God had put a passion in your heart for being a store clerk for the sake of the kingdom, that pursuit would have been just as important as what you are pursuing now. 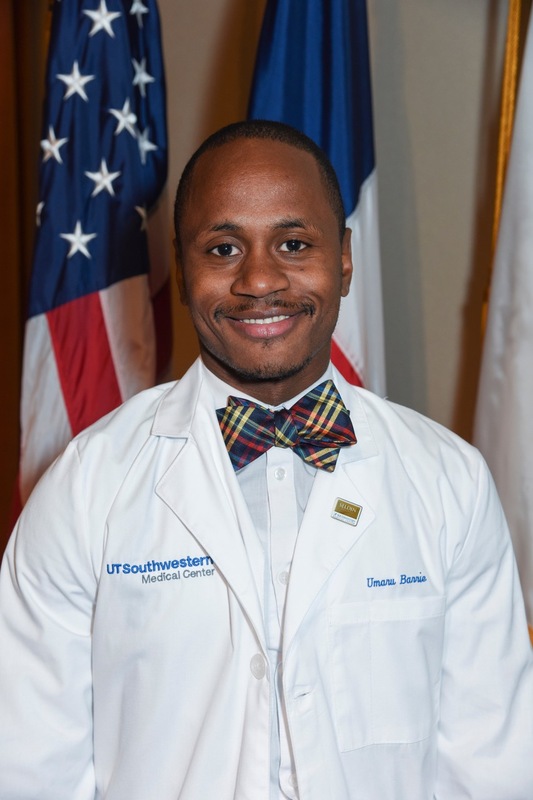 Our eighth feature in the #SNMAExcellence series is Umaru Barrie, a third-year MD/PhD candidate at the University of Texas Southwestern Medical Center! Throughout his time in medical school, Umaru has work extensively in various areas such as healthcare advocacy, global health, pipeline programs, community outreach and administrative affairs. His expansive involvement at his school, in his own community and in various communities around the world earned him the UT Southwestern Medical Center Martin Luther King, Jr. Community Service Award! In addition to the community service work he performs, he is heavily involved in the SNMA, currently serving as a National Future Leadership Project Fellowship coordinator. 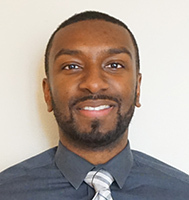 He hopes to continue his leadership development in the SNMA as well as to match into an Emergency Medicine residency program before pursuing a fellowship in global health! This future physician has plenty to offer in his feature, which you can read below! I am currently a 3rd year MD/PhD candidate. In 7 years, I will graduate with my Doctor of Medicine (M.D.) with distinction in Global Health and Doctor of Philosophy (Ph.D.) in Biomedical Sciences degrees with a distinction in Molecular Microbiology. I will commit to an Emergency Medicine residency and then pursue an international health/global health fellowship. A commitment to being a physician-scientist will make me a world-renowned molecular microbiology expert guiding generations of scientists as a principal investigator, in addition to leading physicians as an attending physician to bolster the understanding of the broader interaction between science and medicine. I will engage in clinical and academic medicine to eventually further pursue administrative positions focused on helping shape the roadmap of medicine and our national strategy to improve community healthcare. Ultimately, working with medical, philanthropic and humanitarian organizations to expand worldwide access while reducing costs of lifesaving medicines and diagnostic tools in the world will give me a global understanding of mechanisms underlying healthcare disparities to drive change. In the past two years as an MD/PhD Candidate at UT Southwestern Medical Center (UTSW), I worked on multitudes of endeavors in healthcare advocacy, global health, pipeline programs, community outreach and administrative affairs that correspond to my future career aspirations. I was elected co-president of my medical class of 250 students at UTSW, allowing me to represent my classmates in addressing administrative and academic matters, while creating student-led committees focused on research, student wellness, and interprofessional student education. To engage in global health, I applied and was successfully accepted to the thesis-driven MD with distinction in Global Health Program at UTSW and became an officer for the Global Health Interest Group. I coordinated two spring break medical trips to Santo Domingo, Dominican Republic and helped to fundraise more than $2,500 for medical supplies, medicines and vitamins for each trip. During the trips, my team treated more than 1000 individuals in five underserved communities in Santo Domingo. Additionally, we provided community health education on water hygiene and proper hydration. During the summer of 2018, I embarked on a UTSW Office of Global Health-sponsored trip to lead medical research, service, and advocacy efforts targeting key challenges in the Kanungu District of Uganda and establish connections with medical centers in five different countries in Eastern Africa (Uganda, Rwanda, Tanzania, Ethiopia, and Kenya). In Uganda, I partnered with a Dallas-based philanthropic organization, the Kellermann Foundation (http://www.kellermannfoundation.org/), which owns Bwindi Community Hospital and pursued two different research projects in collaboration with the University of Southampton (Southampton, United Kingdom), Florida International University Herbert Wertheim College of Medicine (Miami, FL) and The University of Alabama at Birmingham School of Medicine (Birmingham, AL) focused on Child Mortality: A quantitative and qualitative community health assessment exploring the variables and risk factors related to the trend in mortality from 2008 to 2018 and HIV/AIDS: Identifying Barriers to HIV Management and Treatment in the Kanungu District of Uganda. Both projects directly support the research and information needs of USAID and PEPFAR--Uganda Portfolio. To stay true to my dedication to begin charity at home, I volunteered more than 200 hours at UTSW’s community health fairs and free clinics. In addition, I provided culturally sensitive health education and tutoring to refugees in Dallas through my organization #refugeeswelcome. Growing up in Harlem, I found it rare to meet doctors who looked like me, thus it was difficult to envision myself as one. Consequently, I now mentor underrepresented high school and undergraduate students interested in science careers through multiple pipeline programs and organize an annual symposium at UTSW introducing high school students to healthcare careers. Furthermore, to foster a community of health advocates, I co-created an integrated medical education elective with the UTSW Student Diversity & Inclusion Office at UTSW, introducing medical students first-hand to healthcare in underserved communities. I plan to expand this elective across American medical schools. My major community involvement projects for the past two years were the 2017-2018 DFW Albert Schweitzer Fellowship and Hurricane Harvey Relief Project. I worked with the Dallas County Health Department and UTSW to provide volunteer opportunities for students to assist at the “mega-shelter” housing evacuees in Dallas. Together, we coordinated the logistics and onsite point of contacts for more 200 volunteers who put in over 1500 hours. In addition, my relief drive collected more than 500 pounds of donated goods for local Hurricane Harvey donation centers. For my work in the past two years at UTSW, I was awarded the UT Southwestern Medical Center Martin Luther King, Jr Community Service Award. SNMA at UT Southwestern has been home away from home for me during my medical school experience. It has provided friends, colleagues, support systems, and a network of dedicated individuals who have shown me the power of diversifying medicine. Through events, community service, and networking events, they have created an environment of inclusion for every individual, especially underrepresented minorities on campus. I am grateful for the leadership opportunities such as mentoring high school and undergraduate students, and speaking engagements provided by our SNMA chapter. SNMA has also given me the unique experience of being a part of the National Future Leadership Project, where I serve as a coordinator overseeing the NFLP committee projects. As I continue my medical training, I hope to continue being a part of SNMA and engage in leadership positions. Applying to MD/PhD programs requires proper planning and careful organization. It takes knowing the most important requirements to being a competitive candidate and pursuing them longitudinally throughout your undergraduate years. Research, Research, RESEARCH! Research is at the forefront of what will make you standout as an applicant. It is a significant requirement! You must have a track record of quality research (basic science, clinical medicine or public health, etc...) done for least a combination of 2 years to become considered a competitive applicant. This is what separates an MD applicant from an MD/PhD applicant. The rest of the requirements (prerequisite courses, good grades, MCAT, clinical experience, and community service) are the same. After graduating on May 2014, I traveled to Port-au-Prince, Haiti, for a month to do a service-learning trip. During this 5-week humanitarian mission from May 19 to June 14, I engaged in service learning outreach projects at FILSECCAM Schools, where I helped deliver English, Chemistry, Math and Biology lessons to elementary, high school and university students. Among the lessons, I taught the students and teachers how to properly use a microscope and a balance beam weight scale. From June 2014 to June 2016, I enrolled as a trainee in the NIH-funded Post-baccalaureate Research Education Program (PREP) at the Albert Einstein College of Medicine (AECOM). As a PREP Scholar, I worked in Dr. Mahalia Desruisseaux’s laboratory in the Department of Pathology and Medicine exploring neurovascular pathogenesis associated with Trypanosoma cruzi infection. Through the AECOM graduate department, I took graduate courses every semester, and joined the AECOM graduate student committee’s events planning committee where I help plan social events for the PhD and MD/PhD students. I shadowed with the Medical Scientist Training Program (MSTP) Continuity Clinic every Thursday at Jacobi Medical Center and I volunteer as a patient advocate with Einstein Community Health Outreach (ECHO) Free Clinic on Saturdays in order to enhance my clinical skills. Do you have any passions outside of school? If so, what are they? To me, traveling offers an insightful cultural value unwritten in textbooks. It has enabled me to meet new people and to immerse myself in learning their customs, habits and traditions. While in Brazil and Spain, I was able to bond with new friends through lessons in the Portuguese and Spanish language, respectively. There is also an enriching sensation in trying local foods from the gumbo in New Orleans, Paella in Valencia to the attieke a poisson (Cassava and Fish) of Abidjan. Traveling provides a great sense of euphoria. It is an avenue to finding tranquility and escaping from mundane tasks. I can never forget the adrenaline rush of zip lining over the jungle canopy in Dominican Republic, successfully navigating the city of Paris, canoeing in the coral reef park in Key West, or running from bulls in Pamplona. Such experiences evoke feelings of thrill and joy in life’s endless adventures. Traveling to foreign countries promotes service: the beam of satisfaction within from helping build playgrounds for children in Uganda to teaching English to middle school children in Haiti. I discovered a new love for gardening during my assigned role of planting a vegetable garden for a primary school in Uganda. Traveling is also a unique way of bolstering one’s career development. Seeing the world provided me with a plethora of advanced educational tools and resources. I was able to do basic science research in Brazil and Spain. I was able to form networks with scientists and doctors in many areas of the world. Additional Links: My Instagram page is @bronxneuro_do. My YouTube channel is called The Ambitions Unlimited Channel and is a vlog about my experiences as a medical student. My podcast is called the Melan-In-White Coats podcast and we talk about our experiences as professional students as well as societal and cultural topics. 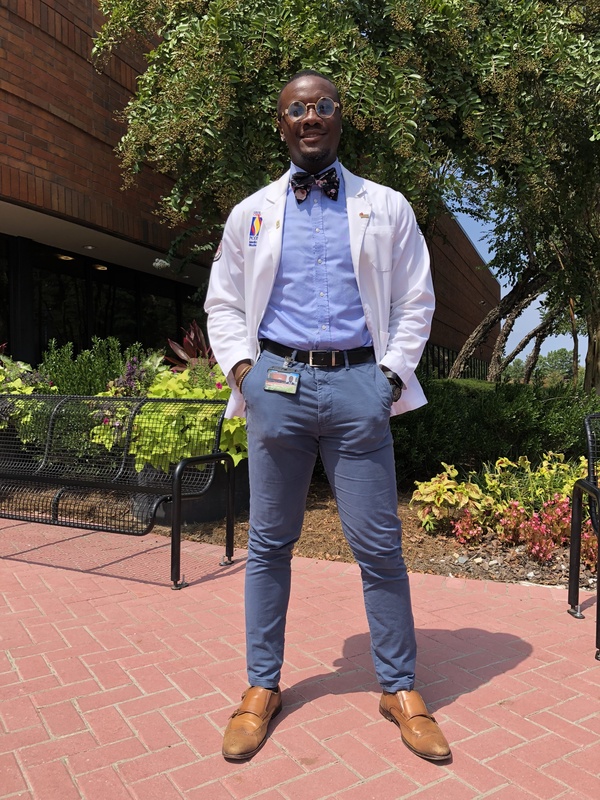 Our seventh feature in the #SNMAExcellence series is Aldwin Soumare, a second-year medical student at the Philadelphia College of Osteopathic Medicine – Georgia Campus! As the president of the SNMA chapter at his institution, he has been highly instrumental in creating and sustaining programs not only at his school, but in the community around him as well. Through grit and resilience, he has managed to overcome the challenges he has been faced with during his medical journey and has grown into a stronger person because of them. In addition to his schoolwork and his leadership responsibilities, he has kept up with a podcast and YouTube channel, where he talks about his experiences as a medical student! This future physician has a lot to offer in his feature, which you can read below! I am a second year medical student and I decided to pursue this path because I love the mix of science, application and service. In medicine, I have had an opportunity to develop intimate connections with people and learned how those connections are an important part of practice. We have several events planned for the upcoming year which include a night of inclusion, which will be a collaborative session with the office of diversity in which we connect minority and underrepresented students from various professional schools at PCOM-GA. We are committed to increasing the amount of minorities entering medicine and as a result are working on a mentor-mentee system with the local MAPS chapter at Georgia Gwinnett College as well as a panel discussion. Also, we have three speakers coming to speak in the next several months from various professions. Last, we also celebrated World AIDS day by bringing in a speaker and creating awareness around campus. My biggest accomplishment has been starting my podcast and YouTube channel while in medical school and somewhat staying consistent with them. Second, being a mentor for the Gwinnett Public School System and trying to inspire the younger generation. Last, being able to connect with medical students/other professional students beyond my school and forming opportunities with them. Being president of my local chapter has made me learn what leadership is like. I have had to learn to communicate, to be more understanding of different perspectives, and to be more open-minded. SNMA has also inspired me to be a model of success for those coming behind me. The opportunity to evoke change in my community is such a wonderful aspect of this organization. I have enjoyed the endless levels of camaraderie and support I have gained through SNMA. As a result, I am forever indebted to the organization. What is a major challenge you have had to overcome and how did you do so? A major challenge I have faced was trying to get into medical school after being rejected twice. On my third attempt, I was exhausted financially and emotionally. I had the idea that that would be my last time but luckily several schools interviewed me. Throughout the process, I had rocky roads toward my goals of becoming a medical student. I completed two masters programs prior to and also took the MCAT three times. I overcame this obstacle by being confident in my abilities as a student and my desire to become a physician. I knew this was the only field I would feel complete in. My conviction to change the world through my practice of medicine was reinforced by the countless patients and physicians I interacted with. My passions are incorporating media with education. For me, my podcast and YouTube channel have allowed me to express myself and connect with people off of my experience. Also I have been involved in Instagram live, where I collaborate with other professional students and we educate pre-med and other students about what medical school/professional school entails. I also enjoy meeting people and writing outside of medicine. It is important to find a balance as medical school can be overwhelming. A balanced physician is the best one because he can navigate his different responsibilities! 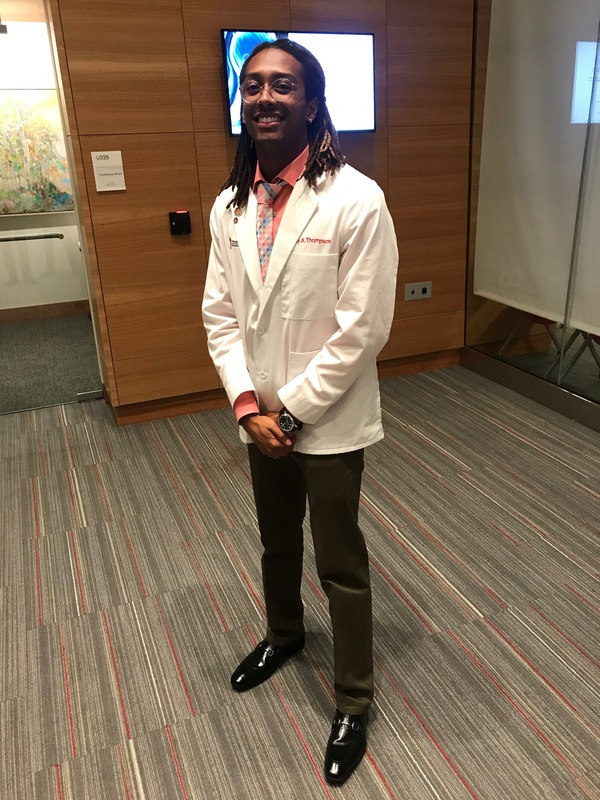 Our sixth feature in the #SNMAExcellence series is Corey Thompson, a second-year medical student at The Ohio State University College of Medicine! He has been very active with the SNMA at his school as well as with the diverse community that surrounds him. Apart from serving as a volunteer at a spanish-speaking clinic and serving on the executive board of a group called SHINE (Somali Health Initiative and Nutrition Education), he has helped start a program called HEADS UP (Health Education and Development for Underprivileged Populations), an initiative intended to create a pipeline from elementary school to medical school while also improving the healthcare literacy of underserved populations! His passion for service shines throughout his feature, which he interweaves with the strategies he uses to get through the stresses of medical school and the love that he has for his institution! Currently, I am a second-year medical student at The Ohio State University College of Medicine. In truth, I have always wanted to be a physician. However, there were a few key events that further prompted me to pursue the field of medicine. The most powerful of these was the traumatic passing of my grandmother from pancreatic cancer. I was only 12 years old at the time, and therefore did not quite understand what this diagnosis meant. I thought she would get better with treatment, but three weeks to the day after her diagnosis, my grandmother passed away. Before leaving this earth, she let me know how special I was and that she would be watching over me as I achieve my dream of becoming a physician. I stand here today knowing that I am well on my way in doing so, and that she is smiling down upon me. The SNMA Chapter of The Ohio State College of Medicine (OSUCOM) exhibits #SNMAExcellence on a daily basis through character, work ethic, mentorship and outreach. Currently on exhibition is a project we have titled, Health Education and Development for Underprivileged Populations, better known as HEADS UP. This project was designed by a group of M1s in our chapter as a means to utilize our platform for community outreach. The primary goal of HEADS UP is improve the healthcare literacy of underserved populations, and create a pipeline from elementary school into medical school. We found the perfect way to launch such a project. For the past few years, I have been working with youth at a local non-profit organization called Ethiopian Tewahedo Social Services (ETSS). It provides services to low income families, most of whom are from the immigrant and refugee communities of Columbus, Ohio. They offer both adult and youth services, but we decided to focus our efforts on the youth in the program. We presented the HEADS UP project proposal to the ETSS Youth Program Director who was both very excited and supportive. ETSS has a Summer Enrichment Program (SEP) for ages 5 -13 with a goal of preventing the learning loss that occurs during summer break, and we knew HEADS UP would be an impactful addition to their program. There are eight sites, so we launched HEADS UP at the largest, which has about 80 first and second generation immigrant students from Ethiopia and Eritrea. We worked with the Site Coordinator to establish a schedule where medical students would provide workshops for the youth participants two days per week for two hours each day. The core HEADS UP group created lesson plans on healthy lifestyle choices, nutrition, diseases, bone and muscle anatomy, heart and brain anatomy, health disparities in medicine, and implicit bias amongst physicians. The goal was to plan workshops that are both informative and interactive, so we have provided several hands-on activities for the children, such as heart and brain dissections and a clinical workshop. Additionally, we arranged to have OSUCOM physicians and faculty as guest lecturers for the children. Our hope is that this experience ignites a love of science and medicine in these children who may otherwise not have been given this opportunity. Additionally, we want to inspire them by seeing med school students and physicians who look like them. We were even able to have an Ethiopian med school student teach a workshop in the students’ native language, Amharic. We think this exposure, along with our mentorship, will help break down barriers and instill confidence to pursue a career in medicine by humanizing the medical profession and physicians. The summer HEADS UP project at ETSS has been very successful, but we didn’t do it alone. In the spirit of inclusion and collaboration to strengthen outcomes, our group contacted other nearby SNMA chapter leaders G. Kabwe Chilupe and Kennedy Ovenseri of Ohio University Heritage College of Medicine (OUHCOM) Dublin Campus and Morgan Bryant of Wright State Boonshoft School of Medicine, respectively. By working together, we were able to gather volunteers from each of our SNMA chapters, as well as our general student bodies. This was an incredible accomplishment for us, and most definitely beneficial in providing quality lessons for the children of ETSS. In addition to teaching the kids about medicine and healthcare, it was also vital to highlight the importance of diversity in the medical profession and other STEM professions. For that reason, we made certain that each HEADS UP lecture featured a diverse mix of men, women, minority, and LGBTQ medical students. This provides the children with positive role models and experiences that can truly shape the rest of their lives. My biggest medical school accomplishments range from academic successes to my conquering of personal goals. Academically, it has always been my goal to continually improve upon my exam scores at the end of each block. I successfully did so this year and averaged around a 3% increase per exam. This was huge in bolstering my confidence going into second year, and is a testament to the fact that medical school is a marathon… not a sprint! There will be stumbles upon the way but keep working hard and figure out what study strategy works best for YOU! Additional accomplishments include my positions as Student Council President both as an M1 and M2, SNMA Admissions Chair, SHINE (Somali Health Initiative and Nutrition Education) Executive Board, HEADS UP Lead Coordinator, and Clinica Latina Volunteer. Prior to applying to medical school, I had never heard of SNMA, NMA, or MAPS, most likely because minorities were not very well represented at my undergraduate university. Upon speaking with Dr. Quinn Capers IV (Dean of Admission at OSUCOM) and Dr. Leon McDougle (Chief Diversity Officer at OSUCOM), I was schooled to the mission and purpose of SNMA. Subsequent to those conversations, I have been extremely interested in doing all that I can do as a medical student to further that mission, so SNMA has given me another sense of purpose. I chose to attend AMEC this year in order to gain more knowledge about SNMA on a national level, and it was one of the most fulfilling experiences as a first-year medical student. Some may even remember my Region 5 Chant rendition of the M’baku Challenge Day skit from the movie Black Panther. This conference really put things into perspective for me as it pertains to what is possible when minority students get together and push towards a common cause. Attending AMEC inspired me to create the HEADS UP program, and just maybe as a bonus, help OSUCOM become chapter of the year. I will continue to work with my chapter, as well as surrounding chapters to ensure that SNMA Region 5 continues its excellence and representation on the national level. My favorite part about The Ohio State University College of Medicine is the amazing job that our Admissions Committee, led by Dr. Quinn Capers IV, has done over the past couple of years. They have effectively transformed the culture at OSUCOM by putting diversity and inclusion at the forefront of our mission as a medical institution. Historically, there has been a sense of isolation for African American males in professional school, unless it is an HBCU, but I do not feel this way at all! We have over 15 Black males in our class of 200 students, and even more Black females! Approximately 26% of our class is of minority status, thanks to the efforts of OSUCOM, and that number is steadily growing. Not surprisingly, this has resulted in increased academic accomplishments, along with student morale! My hope is that our success sets a precedent for surrounding mid-western schools. We have wonderful medical schools in our region, but in talking to some minority students at these schools, they feel ostracized at times, as if they are merely there to fill a quota. This is not the case at OSU, where the goal is to create a class dynamic that is reflective of the general population in regards to race, ethnicity, gender, etc. I hope that we can provide an example for admissions committees across the Midwest and beyond regarding the importance of a diverse medical class in breeding culturally competent, universally intelligent, and all-around happy physicians. What do you do to get through the stressful nature of school? Medical school is stressful… there is no real getting around that reality. We have all worked most of our life to have this opportunity, and now it is time to find out if we have what it takes to make it. While grades may seem of the utmost importance, it is vital that we place our own health and well-being at the forefront during this period, which includes our mental, physical, and emotional health. If we do not tend to ourselves, I can guarantee that it will be reflected in our grades. There are a plethora of coping strategies, and we must each figure out what works best. Hopefully, by this time we have found an enjoyable hobby that is not too terribly time consuming. For me, those hobbies include creating music/DJing, hiking, playing basketball, and involving myself on campus. I have always had a passion for music. It allows my mind to drift away from the task at hand, helping me to recharge my battery and get back to it. In the summer before M1 year of medical school, I purchased turntables as a gift to myself and have since been practicing mixing music. In addition to making music, I also enjoy hiking as an escape from school. It is rather hard to do in Ohio, but I have been able to schedule time during the year to fly out to Colorado, Utah, and Oregon. These trips have been amazing for clearing my head and keeping physically fit. Basketball is another physical activity that re-energizes me, but is much easier to manage on a weekly basis. Lastly, I involve myself in organizations on campus such as Student Council and SNMA. Within these organizations I have been able to give back to the community of Columbus, OH. These experiences help me to put things in perspective and give me a daily reminder of WHY I chose a career in medicine. Favorite Quote: "There is always someone better than you and there is always someone worse than you. So instead of comparing yourself to others, compare yourself to your yesterday's self." I am currently in my last year of medical school planning to attend residency in Pediatrics. I decided to pursue Pediatrics because of the profound influence children have not only my life but also on the future. I did not realize my love for this population until I was about three-quarters through third year of medical school, but I am certain of my decision and excited to learn from those who hold the future in their hands. The SNMA population at my medical school is quite low, but we always uplift one another within our cohorts and the cohorts below us. A brief example of this is where the rising fourth-year medical student put together an event for the rising third-year medical students; we spent five hours practicing presentations, chart reviewing, and practicing other skills that they might need to succeed in third-year clerkships. We are sure to extend the same hand to the community. We occasionally bring high school and junior high school students to the medical school to pique interest in the STEM field. We show these young students that it's possible to be successful and follow your dreams. We go through modules with them where they practice auscultating the heart and the lungs, public speaking, CPR, and other modules that are designed solely by the members of the SNMA. One of my cherished accomplishments in medical school is continuing to serve cohorts below me as well as my community. No matter how busy or how large my workload is, I will always find time to tutor, to put together events, and to help the community in whatever ways I'm needed. SNMA has been an awesome community throughout all of my medical school career. It gave me people who I can look up to and who I can go to with difficult times. I decided to take time off before I started medical school. After I received my degree from UCLA, I moved to Japan. I moved there in order to teach English and yoga, but mostly I moved in order to understand more about myself. I spent about a year there and while I was there I learned the language and I made a lot of lifelong friendships. I learned a lot about myself and I learned that communication is very much possible without language. I recommend almost everybody who wants to go to medical school to take some time off to get to know themselves. It was definitely the most rewarding adventure that I have ever embarked on and I would go back and do it exactly the same. What do you feel is the most challenging part of medical school? The easiest part? The most difficult part of medical school is not losing yourself in the grind. It's difficult to stay true to yourself, continue to do what you love, and study hard without thinking you're less than. But it is all possible especially when you surround yourself with people who exude love and tranquility. The easiest part of my medical career has been connecting with friends and patients. That has been the most fun and exciting part of being in medicine. Welcome back to our Meet The Board Series!! In this series, we would like to introduce you to the leaders of the national organization who work behind-the-scenes to keep the SNMA running! Our next feature of this series is Dr. Patrick Lee, who serves as a member of the Strategic Planning Council for the 2018-2019 administrative year! My name is Patrick Lee, and I am currently a General Surgery resident at the University of Wisconsin-Madison (UW). I was born and raised on the south side of Chicago and went to the University of Illinois at Urbana-Champaign where I graduated in 2007 with a B.S. in Molecular and Cellular Biology. I entered the M.D./Ph.D program at UW after graduation where I first became involved in SNMA. I sought to become a physician scientist to help bridge the gap between medical research and clinical practice. I completed my PhD in 2014 and completed my MD in 2016. During my time in medical and graduate school, I was involved with SNMA. I was first an Academic Affairs co-chair and External Affairs co-chair for two years, before being elected as Chair of the Board of Directors. Being Chair was an enlightening and remarkable experience, one that I will forever cherish. Following graduation, I started a general surgery residency, of which I am in my second year. Training in surgery is challenging because you learn to manage medical issues, while simultaneously becoming a technically sound surgeon. It takes time and dedication, but I love doing what I do. When I finish training, I hope to be a Trauma and Critical Care surgeon. During my time in training and when completed, I hope also to continue to meet and mentor medical students. In the free time I have, I enjoy playing basketball, biking, tennis and golf to try and stay active. I also enjoy cooking and playing the piano and saxophone. This post marks the end of our Meet The Board Series! We hope that you enjoyed learning more about the leaders on our Board of Directors! And remember, make sure to visit us at snma.org/membership.php to join the SNMA if you haven't already! Our next feature of this series is Sergeine Lezeau, who serves as a Publications National Committee Co-Chairperson for the 2018-2019 administrative year! She is the daughter of Registered Nurse Eveline Lezeau and Computer Programmer Joseph Lezeau, who immigrated to the United States from Haiti to pursue their college education. Early on, they instilled in her the values of higher education, Haitian culture, and maintaining a spiritual relationship with Jesus Christ. Sergeine and her younger brother, Jovin, grew up embracing these ideals in South Florida, where she completed the International Baccalaureate program at Lincoln Park Academy before joining the Gator Nation in 2008. Sergeine graduated in 2011 from the University of Florida with a bachelor's degree in Anthropology and a minor in Spanish. A year later, she catapulted her medico-scientific journey at Florida Atlantic University as a Biology Honors Research student identifying correlations between the latent HIV reservoir and HIV patients. 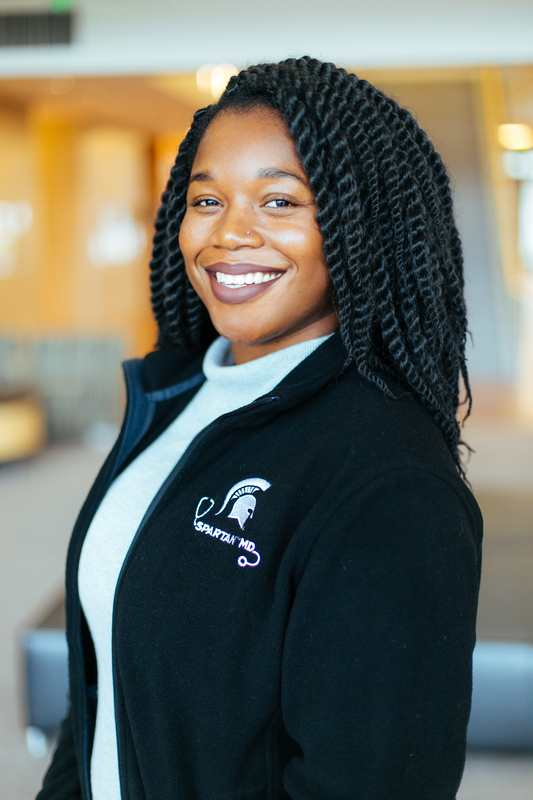 Currently, Sergeine is a member of the class of 2020 at Edward Via College of Osteopathic Medicine (VCOM) in Auburn, Alabama where she served as a peer tutor in her first year there. As a second-year medical student, she served as Vice President for VCOM's Hispanic Community Medical Outreach student organization and helped raise funds for VCOM's medical mission trips to underserved Hispanic countries. During this time, Sergeine also joined the SNMA Board of Directors as a Publications Chair and Journal Editor-in-Chief. Aside from her research, leadership, teaching, and volunteerism, she also finds great joy in mentoring both pre-medical and medical students. Such experiences have inspired Sergeine to become a physician with an academic appointment and to serve as the Dean for Diversity of a medical school one day. Be sure to stay tuned for the next feature of this series! And remember, make sure to visit us at snma.org/membership.php to join the SNMA if you haven't already! Our next feature of this series is Sasha Ray, who serves as the Region III Director for the 2018-2019 administrative year! Sasha Ray is a Little Rock, Arkansas native who attended Parkview Arts and Science Magnet High School. She obtained her Bachelor’s degree in Biological Sciences and African American and Diaspora Studies at Vanderbilt University. She then attended Hampton University for her graduate career before joining the UAMS College of Medicine. She is a current third-year medical student in the College of Medicine. 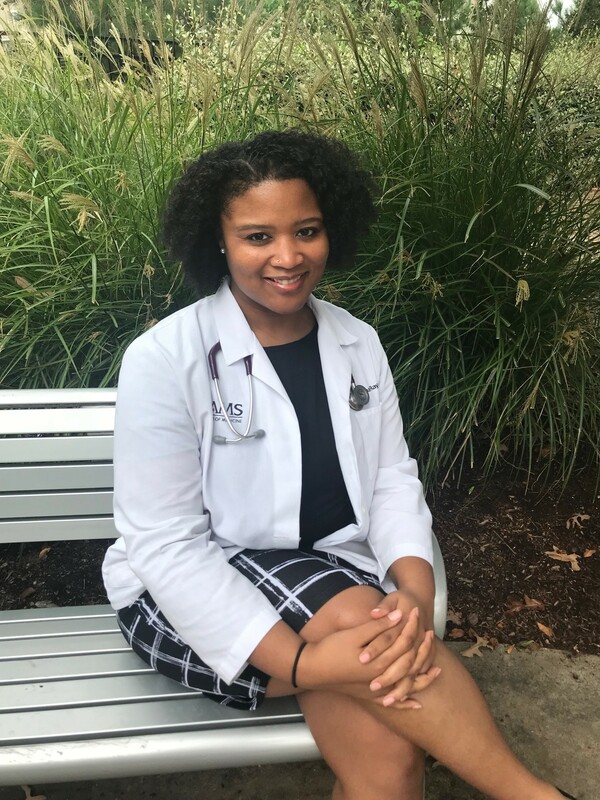 In addition to the studies required by medical school, Sasha has worked with M. Katherine Kimbrough, MD, a trauma and critical care surgeon at UAMS on surgical shadowing and research. She has also recently signed on to a year-long Centering in Pregnancy project educating obstetric patients. Beyond medical school, Sasha is interested in a surgical residency, potentially OBGYN. She is involved in the community with her work with the Student National Medical Association, and has past appointments as the Public Health and Wellness Chair of the Central Arkansas Urban League and as an early childhood reading tutor. She also participated in honoring the life and legacy of Dr. Edith Irby Jones at an event on September 12 titled “Shattering the Glass Ceiling”, sponsored by the Center for Diversity Affairs and Faculty Affairs at UAMS. The event celebrated Dr. Edith Irby Jones, the first black student to attend racially mixed classes in the South and the first black student to attend and graduate from the University of Arkansas School of Medicine (now University of Arkansas for Medical Sciences). The UAMS SNMA chapter is named after her. Sasha’s one true love is her cat, Simba. Our next feature of this series is Nana Yaw Adu-Sarkodie, MD, MPH, who serves as one of the Professional Board Members for the 2018-2019 administrative year! Dr. Adu-Sarkodie currently serves as the Medical Director for Home Based Primary Care at the Maryland VA. He and his team conduct home visits delivering primary care services to the nation's most frail and vulnerable veterans. He completed medical school at Ross University School of Medicine and completed both a residency in Family Medicine and a Fellowship in Geriatric Medicine at LSU-New Orleans. He was raised in Region IX, trained in Region III and currently resides in Region VI. He also holds a Master's in Public Health degree with a concentration in Population and Family Health from Columbia University. 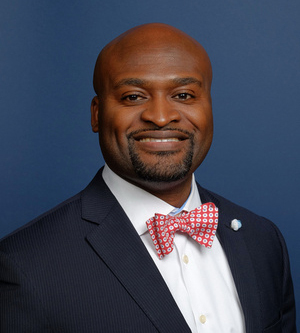 In addition to working for the VA full-time, he is an adjunct instructor at Morgan State University's School of Community Health and Policy, and provides after-hours coverage for nursing home and post-acute care facilities with a telemedicine-enabled physician group. He is an avid reader and collector of comic books, a foodie and enjoys spending time with his family.